This toolkit is a resource developed by the CAMH HPRC and Public Health Ontario (PHO) in 2013. 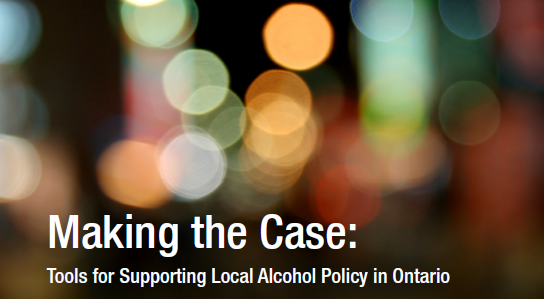 The purpose of this resource is to foster awareness about the need for local action on alcohol-related harms as well as support the development and implementation of local alcohol policies within communities across Ontario. Download this toolkit in English and French.